Unless you are one of the few students who received a substantial scholarship, you will likely be carrying a pretty heavy amount of loan debt by the time you graduate. The cost of post-secondary education has been steadily rising over the past two decades. A full four-year education can easily set a student back with up to $100,000 in debt before they even enter the workforce. The escalating tuition costs are having a huge effect on the Millennial generation and how they are able to secure their futures. Starting out as a young adult while carrying thousands of dollars of debt is changing the way that graduates are getting a start in life. The long-term effects of heavy student debt are hard to predict but there are some obvious trends that can be seen already. All you need to do is take a look at some of the student loan debt statistics to know that the Millennial generation is looking at a lifetime of living under a huge financial obligation. Although there are ways to pay down your debt faster than average, it can still take up to 10 years to get out from under your tuition bills. Even if students are lucky enough to get a job in their field right after graduation, the odds are that it will be an entry-level position. For many students, one source of income isn’t enough to keep up with their loan payments. Everything from short term side hustles to a second full-time job is no longer uncommon for recent grads. This means more hours dedicated to work and less time for things like friends, relationships and family. More and more Millennials are being treated for exhaustion and stress-related illnesses due in large part to the stress of living under a huge umbrella of debt. Most younger people that are just starting out can be successful if they follow a strong budget. 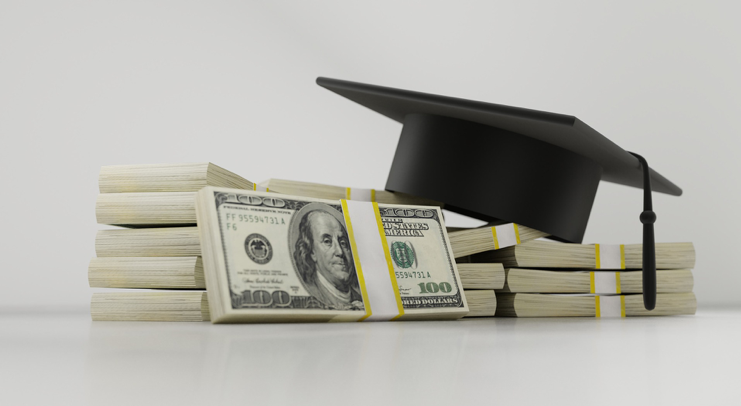 Everyone has to start somewhere, however, when you are carrying tens of thousands of dollars worth of student debt baggage with you, it can be even harder to move into your future. The recent surge in the popularity of the Tiny Homes movement and sustainable minimalist living has been in large part fueled by Millennials looking to save money and live a lower budget lifestyle. Graduates who can afford to invest in a home tend to keep things simple and well within their means like never before. The truth is, most graduates will not be able to afford a mortgage of any size for several years after they graduate. Many are moving back home after school, instead of heading out independently to try to save money and pay down their debt. Gone are the times of being able to complete a quality education, get a job, buy a home and start a family. With the rapidly escalating cost of tuitions, the next generation could end up paying for their education for their entire lifetimes.